The Parish of Millerville was founded in 1867 by Indian Missionary, Father Pierz. The first Mass for the community was held at the home of John A. Miller, leader of the first German speaking settlers, after whom the town of Millerville was named. It was the first Catholic Church in Douglas County with a resident pastor and two missions, Osakis and Belle River . The first church building was built of hewn oak logs in 1868 and was named Seven Dolors of O'Chippewa Station, being changed years later to Church of Our Lady of Seven Dolors. 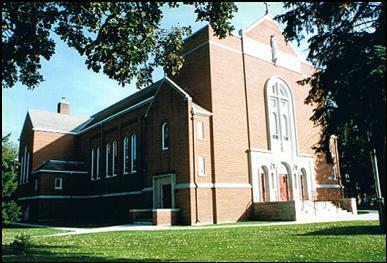 The second church building was built in 1883 with a seating capacity of 400. Membership ranged from a high of 600 in 1922 to the present membership of 351.